The Ski Camp week and Ski Safari will start on Saturday 23rd February and will finish on Saturday 2nd March 2019 (The round trip from Paris is organised by Préfleuri). 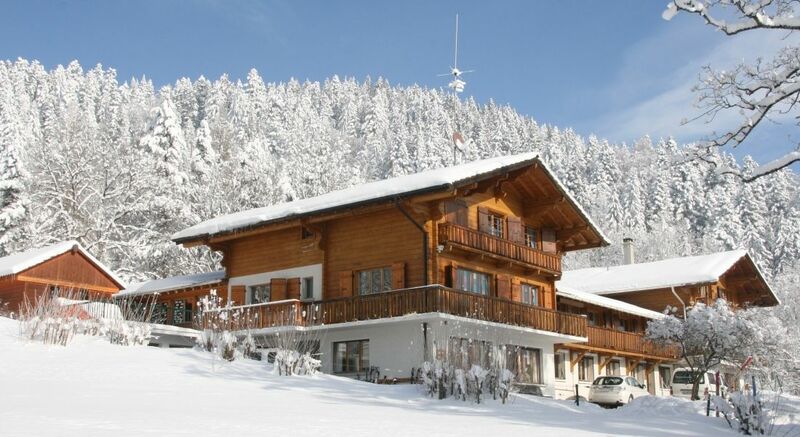 In winter, your children experience the joys of skiing and snowboarding on the slopes of Villars – Gryon – Les Diablerets – Glacier 3000 , a superb ski-area serviced by 100km of magnificent ski runs. Your children share rooms with their friends, 4 to 5 beds per room. Our housekeepers ensure their well-being and their daily care. Bedtime is a time of sharing, laughter and tenderness. 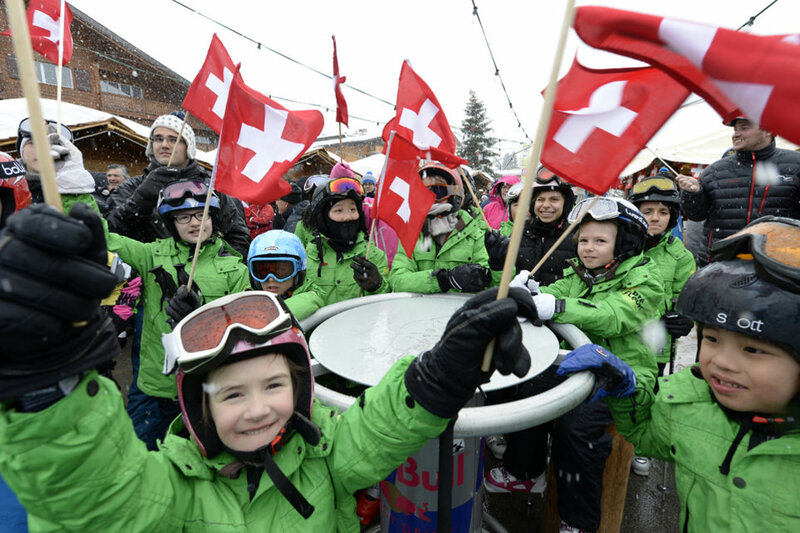 For younger children the resort provides a snow garden in the village, where our future champions learn to ski in a secured area reserved for beginners, with moving walkways and a mini draglift. 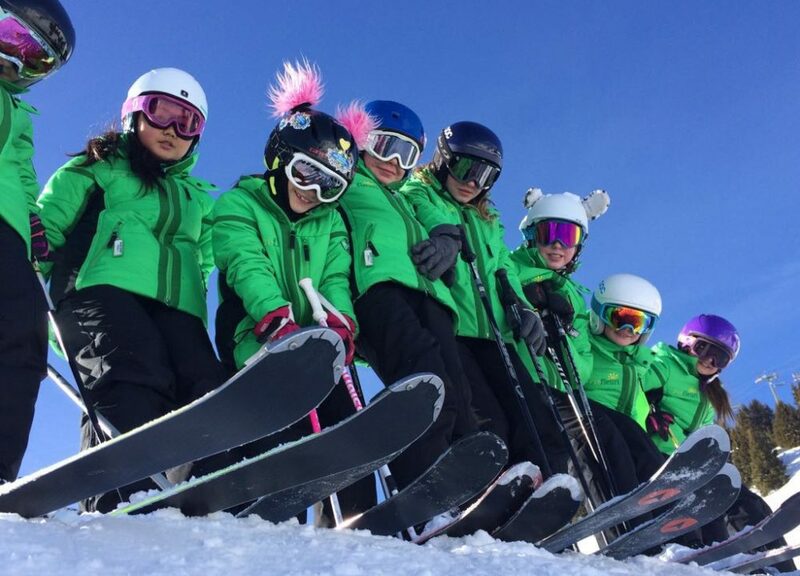 Your children ski in small groups and are supervised by professionals that ensure a progression in their ability. Préfleuri requires each child to respect all safety precautions, both for themselves and for others. Tobogganing in the resort or in our property, pure pleasure! Ice skating: skating fans will enjoy the rinks in Villars (indoor) and Gryon (outdoors). Winter hiking: on foot or snowshoes. The resort offers many marked trails where chamois or deer may be hiding behind the trees. In a happy and loving atmosphere, moment of sharing with friends from all over the world turn this holiday into an unforgettable experience. Every evening is spent with our guides and educators. When laughter and good times are guaranteed. These moments are always great fun and hugely appreciated by all the children especially as during these times brothers and sisters are reunited. Usually midweek, we give the children a well-deserved rest day and take this opportunity to introduce them to our cultural heritage. This might be a visit to the Swiss Chocolate Factory Cailler or the Olympic Museum and includes a short shopping trip so that everyone can bring home a small momento of his or her holiday in the land of William Tell. 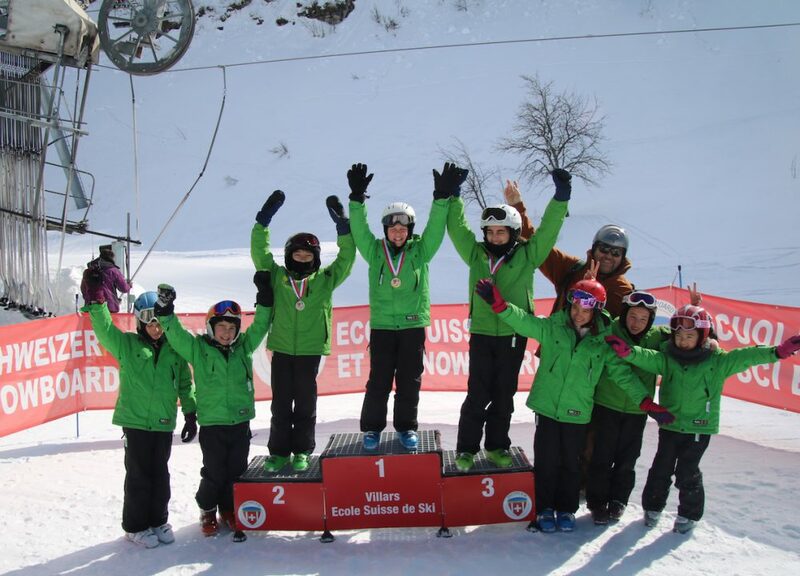 At the end of their stay at Préfleuri, all the children take a ski test and earn a certificate and medal. 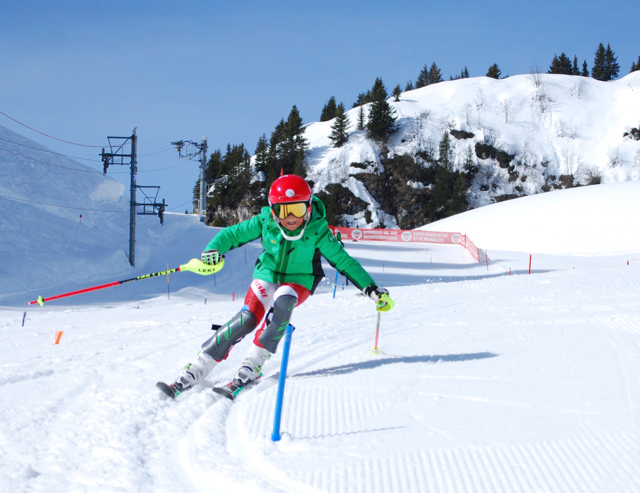 The last day of the season is dedicated to a slalom race in which all the children and their parents participate enthusiastically. On this day your children will be champions of the white arena. 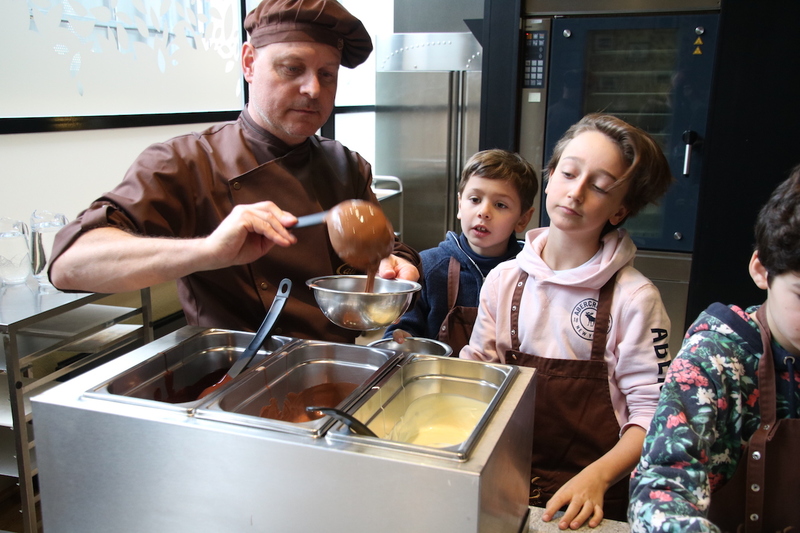 3.30 – 4.00 pm “Goûter”, hot chocolate then we go again! 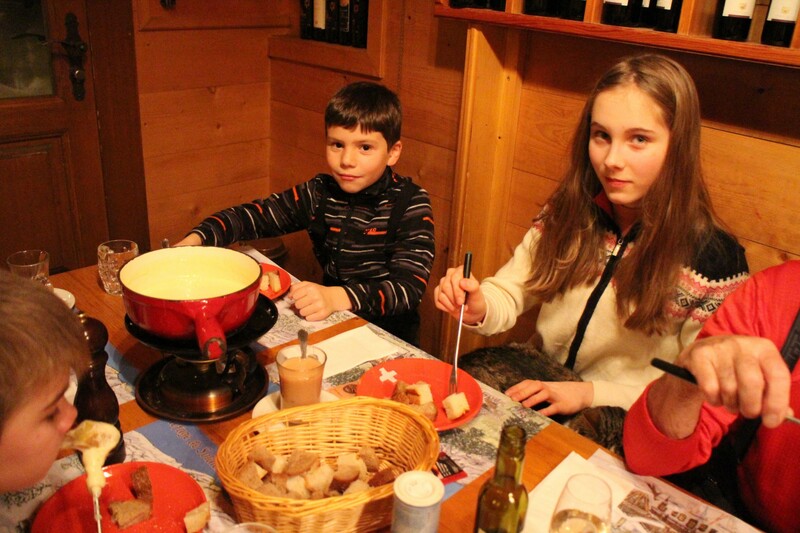 Winter camps " à la carte "
– French or English immersion (5 mornings a week from 9 to 12 am). – Ski afternoons (with school pupils). – Ski Wednesday afternoons & Saturdays or Sundays with the school boarders. – Boarding life : evening and week-ends in a group of 20 to 30 French-English bilingual boarding pupils. – Integration in French or English speaking primary classes (Following the official French and UK Curriculum). 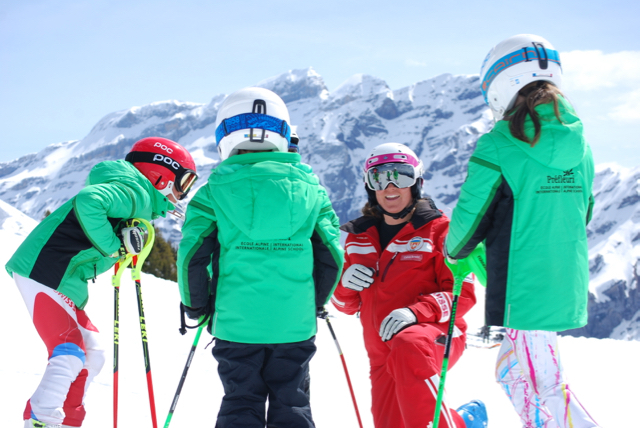 – Ski during the school term : 2 afternoons per week. – Ski Wednesday afternoon & Saturdays or Sundays with the school boarders. Ski Camp " Paris "
Snow garden: from 3 years old : learning in a secure environment on conveyor carpet and baby lift . Gradual Length or traditional method. Ski : Acquisition and consolidation of basic ski technics from beginner to advanced level. Snowboard : Initiation and improvement of snowboarding. Free style : Creative further development of skiing technics for advanced skiers – Snowpark. Safari (from 12 yo) : challenging runs for advanced skiers, a new resort each day ! Flyer " Paris 2019 "	Conditions " Paris 2019 " Conditions " Winter Camps 2019 "	Flyer " Winter Camps 2019 "